The National competition took place in Frisco, Texas on April 19-21, 2018. Canyon del Oro placed 4th in Division I and 5th overall in the nation with a score of 47,426.7. 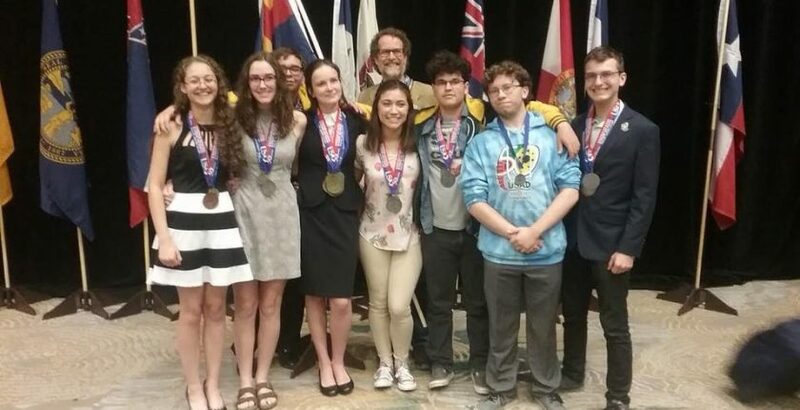 Team members from CDO are: Piper Gray, Chloe Penna, Kailee Savage, Allienna Nezelek, Carter Hollings, Zachariah Hobby, Javier Lopez, and Michael Cox. Congratulations to Piper won 9 medals and finished second overall out of more than 650 contestants. Congratulations to the seven members of the team who earned individual medals. 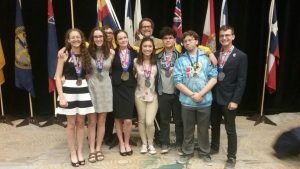 Copyright © 2016 Arizona Academic Decathlon. All Rights Reserved.